Available to play at Weddings, Funerals, Receptions and other Special Occasions at reasonable rates. 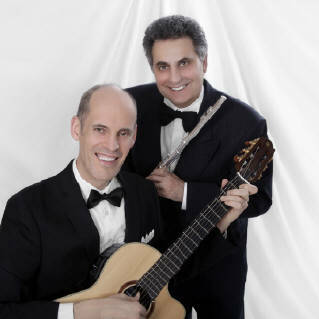 Concertino is a Duo that combines the passion-filled tone of the flute, as played by Vic Norian, with the deep and soothing mellow sound of the classical guitar played by Charles Gregoire. The two instruments combine and support one another beautifully to create a rich listening experience. Concertino can make live classical music a very accessible option for your next event.